The second invasion took place somewhere in Northrend where Aegwyn, a guardian of Tirisfal and mother to Medivh, protected Northrend and the rest of Azeroth from the Burning Legion, and she placed his physical form within the Tomb of Sargeras, a place of unimaginable power, and eventually would become a place of interest in the next WoW expansion, Legion. After completing such an achievement, she grew arrogant and cocky, which led to her not feeling that she needed the Council anymore, and so she thought that she would choose the next guardian. Little did she know that Sargeras had actually manipulated her by stealing away into a part of her, knowing that one day she would conceive a child. Once that day came, he was able to intertwine his own power with that of the child’s, who was also given the majority of Aegwynn’s powers as a guardian, which was locked away until he reached maturity. This backlashed however, and caused the death of his father. The child was named Medivh, and would grow up to be a twisted guardian. After the backlash, Medivh went into a comatose state and didn’t awake until twenty years later, ‘in full control of his powers’, as he put it. At this point, he has already been corrupted by Sargeras, and he would influence Medivh’s mind quite often as the years went by. Probably during this time (time is weird in between dimensions) Kil’jaeden discovered the world of Draenor, where it was inhabited by only the shamanistic Orcs and the peaceful Draenei (the ones who fled from Argus when Kil’jaeden and Archimonde joined the Legion). It didn’t take long for Kil’jaeden to realize that the orcs would be the perfect soldiers for his new infernal army. He broke the mind of a popular and famous elder shaman named Ner’zhul. Kil’jaeden used the spirit of Ner’zhul’s fallen mate, Rulkan, to tell him that the peaceful Draenei were plotting against him and the orcs. 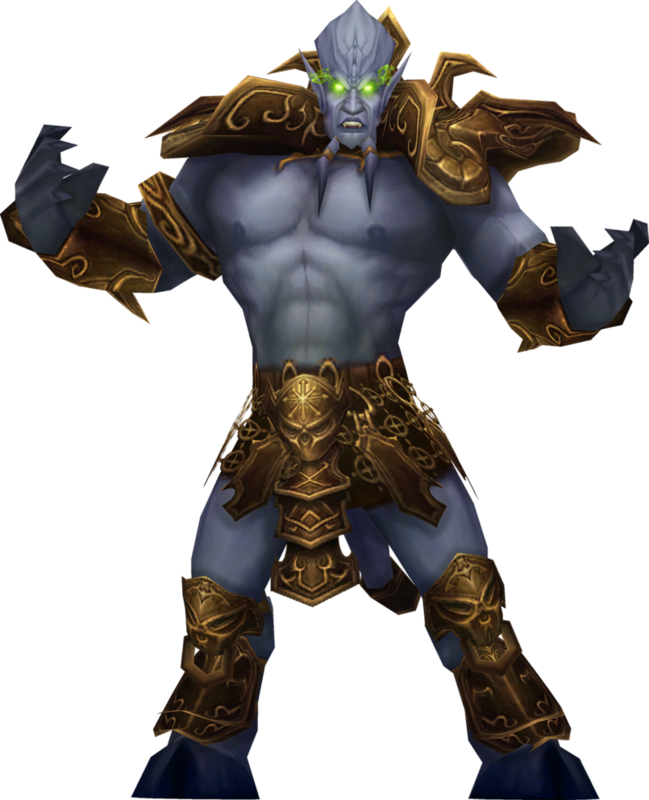 She then introduced him to Kil’jaeden as “the great one” and he began to tell him more of the draenei’s treachery. Over time Ner’zhul began to catch on to what devious plan was unfolding here. He went to speak with the spirits at Oshu’gun, a mountain that held high religious importance for the orcs. When they greeted the once great shaman with disgust, he was shocked, but the real spirit of his mate told him the truth of the matter. This gave Ner’zhul the resolve to defy his master, but unfortunately for him, his apprentice, Gul’dan, overheard this decision. Greedy for his own power, Gul’dan went to Kil’jaeden and told him of the treason. Kil’jaeden quickly promoted Gul’dan to Ner’zhul’s position and stripped Ner’zhul of his powers and placed him into a ceremonial position. Gul’dan began to form his ‘shadow council’ which consisted of mortal warlocks who serve the Burning Legion. The shadow council eventually became the replacement for Blackhand’s horde, but that is another story. 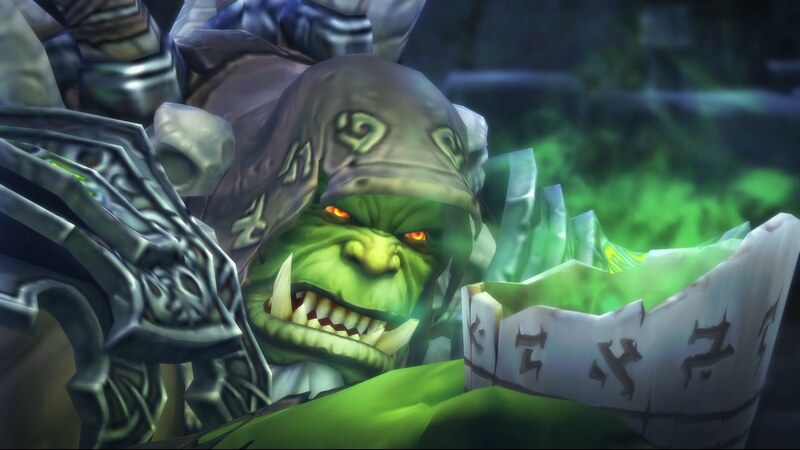 Gul’dan grew careless in his new position, and it was Ner’zhul who discovered that Gul’dan was planning on feeding the Blood of Mannoroth to the new orcs. Due to the stripping of his power, none of the orc chieftains would listen to his claims that Gul’dan was planning on corrupting the orcs. None except for one. 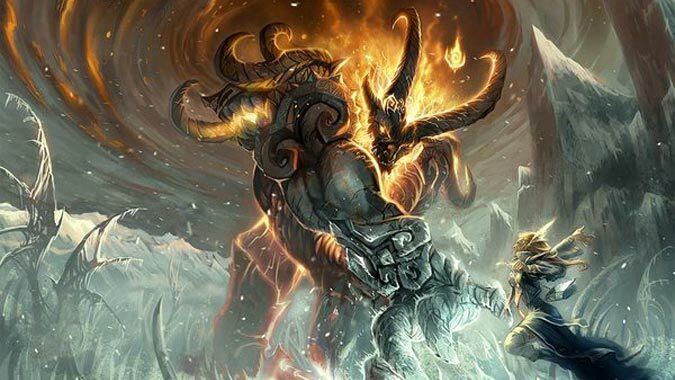 Durotan was the only one who would listen to his claims, and because of this advice, he did not allow his clan to drink the Blood of Mannoroth, saving them from the vast majority of the corruption. This was a secret that died with Ner’zhul, Durotan, and Durotan’s make, Draka. Nobody would know that one of Azeroth’s greatest enemies would have actually saved them from even more destruction. The Blood of Mannoroth is fed to the other orc clans led by mainly Blackhand, although Kilrogg, and Grommash become large figures in other parts of the story. These new orcs tried to invade Azeroth twice through the Dark Portal, but the Humans formed a mighty alliance and were able to push them back. The world of Draenor was actually destroyed when Ner’zhul attempted to escape to another dimension. The orcs were then rounded up by the humans and put into internment camps. After this, Kil’jaeden was enraged and determined to create an army that would not fail him as the orcs had. Kil’jaeden ended up catching Ner’zhul after a bit of chasing and trapped his essence within the Frozen Throne, then put that within Azeroth with a mission to prepare the world for slavery by unleashing the Plague of Undeath, which was a plague that was made to create the scourge, which were undead slaves that bent to the will of the Lich King before all others. The servants of the Scourge were able to summon Archimonde to lead their assault. Marching on the Mount Hyjal towards the World Tree, Malfurion, along with his alliance of Humans, Orcs, and Night Elves, fought valiantly to hold the demons away from the World Tree. They were doing so under Malfurion’s command, and were to protect him while he performed an ancient druidic spell. Once this spell was complete, the Alliance left the World Tree, and the Well of Eternity free to Archimonde. When Archimonde began to feed upon the energy of the World Tree, the spell began to work its magic. The energy was released into Archimonde all at once, and due to the power of the Well, Archimonde and the surrounding Tree was obliterated. 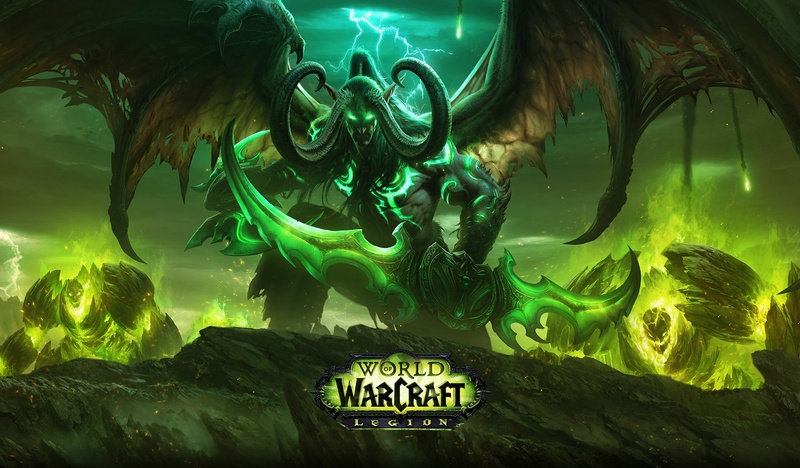 With Archimonde gone, Kil’jaeden assumed complete control of the legion.